When homebound yet itching to travel, the one thing I like doing is looking at old photos! And I unearthed various ones from old visits to Hong Kong’s IKEA stores. 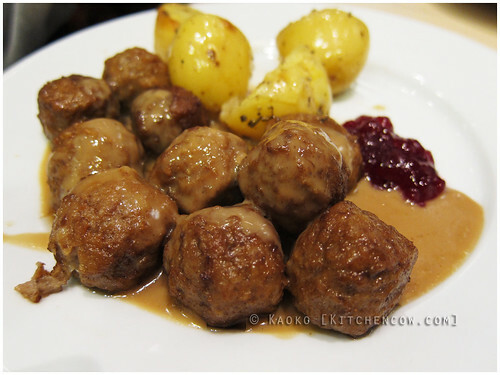 Why would I babble about IKEA on a food blog? Well, aside from the ‘happy selection of kitchenware and utensils I wouldn’t usually buy but it’s dirt cheap here so might as well,’ I actually like eating at the IKEA cafes and restaurants. Now don’t scoff at me. I know their food’s a mixed bag and some are totally ordinary cafeteria dishes, but come on. THE SWEDISH MEATBALLS! Everyone I know who has eaten it loves it to bits. Served with a side of potatoes, gravy and cranberry jam, it has to be the poster child of IKEA food. It’s also a must-have on my list. Especially when it’s among the weekly deals; it’s the perfect reason to get the big platter to share. 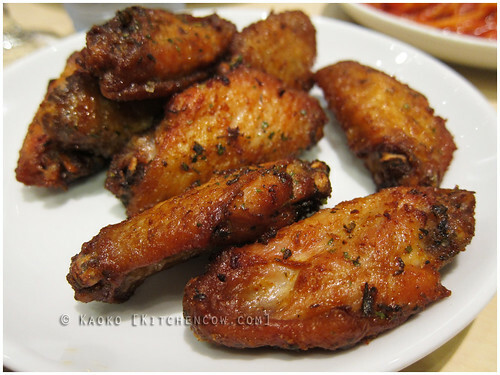 Have you tried their chicken wings? That’s another thing I like ordering. The fact that they stay pretty yummy and juicy despite being kept in the warmer is a mean feat. 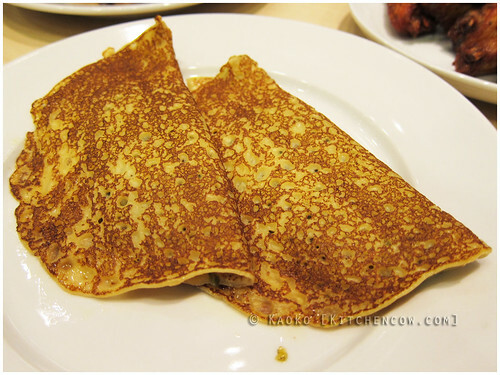 Another memorable dish is the spinach and cheese pancakes. This savory crepe-like pancake is stuffed with spinach and gooey cheese. Can’t go wrong with gooey cheese, right? I find it unfortunate that not all IKEAs have full-fledged restaurants, but I guess their snack bars are sufficient for that Swedish meatball fix, right? Have meatballs, will shop. Good enough for me! Oh IKEA, I miss you so. If I had the money, I’d hop a plane and nom right now. Unfortunately, I don’t so I’ll have to stare at your photos instead. I’m sure a lot of you readers will relate. If you can’t, better give it a shot next time you travel. Try it at least once, to enjoy the complete IKEA experience. Your comment. It scares me. i love their meatballs! we also love ordering their salmon here in sydney. cheap but really good. I JUST ate at Ikea last night with a friend here in Seattle—I hadn’t been to one for a few years, since we lived near Kobe. I had the meaty white fish with a crunchy crust, mashed potatoes, and veggies, and bought a jar of lingonberry preserves to take home. So yum. I think it’s perfectly reasonable to do a post on eating there! Lingonberry! Thanks for reminding me what it was. I didn’t even know what lingonberries are (I still don’t 😛 ) but I agree, it’s great with the meatballs. Ya know… I’m heading to KL. ;w; Maybe it’s time I try these again. I luff ’em. You should try their Fresh River Shrimps/ Prawns! So sweet! No offense taken, Tin! That’s the wonderful thing about food, we all have different tastes. I’ve had the meatballs in both HK and SG and there’s not much diff, so don’t bother trying it out elsewhere just to taste. 😛 It’s time to trust your tastebuds, heehee. Haven’t been to the ones in Asia but I totally love their meatballs. That chicken wings looked mean. 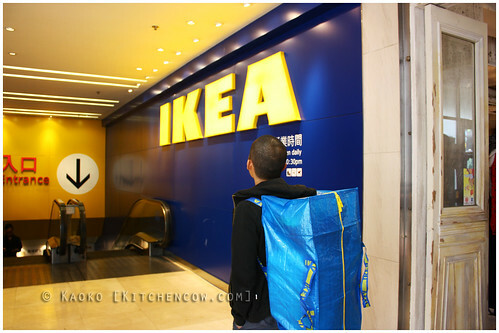 Should try to make my way to Ikea next time I’m in HK. You can actually request for fries. Or spaghetti noodles, to replace those boiled taters. 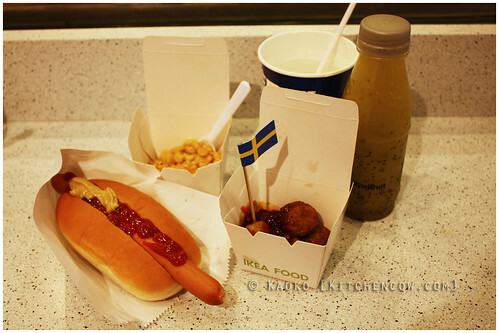 I miss eating at IKEA! My wife and I love their meatballs. I love their mushroom soup, salmon and salad…and want to try pretty much everything whenever there. The huge IKEA branch at Tampines has a huge dining area! Highly recommended.